Today I only had two classes which took place in the morning and therefore had the entire day to explore Oxford! First a group of us went to a museum. 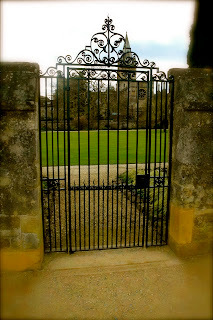 Then we explored many churches and gardens in Oxford. Some cool sites we saw included the garden gate at Christ Church which inspired Lewis Carroll to write Alice in Wonderland. Through the gate one can see the gardens in which he imagined the Mad Hatter tea party taking place. 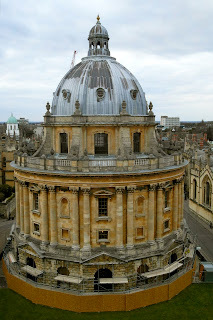 Then we went to the University of the St. Virgin Mary and paid 3pounds to climb to the top of the tower inside the church which unveiled an amazing view of the city and is said that it provides the best view of Oxford! We then bought bus tickets so that we can go to London on Sundays when we do not have class--- that was not fun to pay for! Then we met up with some of our other friends on the trip and went to a gourmet pizza place with a terrific atmosphere which offers amazing deals on Thursdays! Everything on the menu was unique and flavorful-- it was well worth it! After dinner we came back to our hall to relax after our long day! I love the descriptive updates. Keep them going I enjoy seeing what your up too. I will! I wil post one every night here so it should be up every early evening for you!